Organic Chemistry Concepts and Applications for Medicinal Chemistry provides a valuable refresher for understanding the relationship between chemical bonding and those molecular properties that help to determine medicinal activity. This book explores the basic aspects of structural organic chemistry without going into the various classes of reactions. Two medicinal chemistry concepts are also introduced: partition coefficients and the nomenclature of cyclic and polycyclic ring systems that comprise a large number of drug molecules. Given the systematic name of a drug, the reader is guided through the process of drawing an accurate chemical structure. 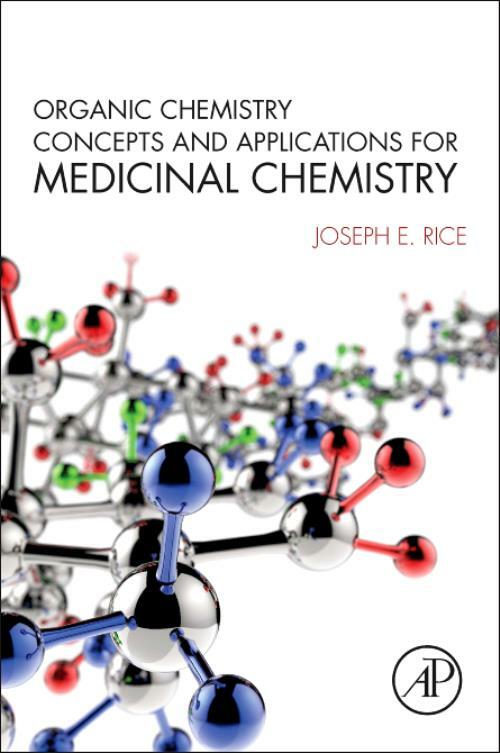 By emphasizing the relationship between structure and properties, this book gives readers the connections to more fully comprehend, retain, apply, and build upon their organic chemistry background in further chemistry study, practice, and exams. a. What is a Partition Coefficient? Joseph Rice received his Ph.D. in Organic Chemistry from the Polytechnic Institute of New York in 1982. He worked at the American Health Foundation in Valhalla, NY for six years doing research on chemical carcinogenesis and became Head of the Section of Metabolic Chemistry. His research involved the synthesis of potential carcinogenic metabolites of polycyclic aromatic hydrocarbons. In 1988, he joined the faculty of the Medicinal Chemistry Department of the Ernest Mario School of Pharmacy at Rutgers University. He has been teaching Medicinal Chemistry to 4th year undergraduates for 25 years. In 2001, the author spearheaded the creation of a Graduate Program in Medicinal Chemistry and served as its director until 2012. He is actively involved in teaching three graduate courses- Medicinal Chemistry: Research Techniques and Principles, Heterocycles in Medicinal Chemistry, and Strategies and Tactics in Synthetic Medicinal Chemistry. His current research interest is the synthesis of selective G-quadruplex-stabilizing macrocyclic polyoxazoles as a new class of anticancer agents. The author has published over 60 papers in the area of the synthesis of compounds of biological interest.